And so far it has been alot of fun. We drove the race Hummers, the H1's, the T4, the 6x6, and the race T4 from Paris to Budipest. I drove the Vanguard Hummer the whole way non-stop. It took us 26 hours only stopping for fuel and a few bites to eat. It was a hell of a long day. I was up for about 40 hours. Then yesterday we tested the Hummers at an old military base outside of Budipest. We were on a 4 mile course. Lots of bumps, jumps, and speedy turns. I got in with RG and told him to teach me and tell me how he wants it to be driven. I said if you want me to be fast then just show me how to drive it and I will. It was awesome. the Hummers work great. The Vanguard Hummer was different to drive than the Trophy Truck and nothing like a buggy. It was something different all together. I caught on pretty quickly though. 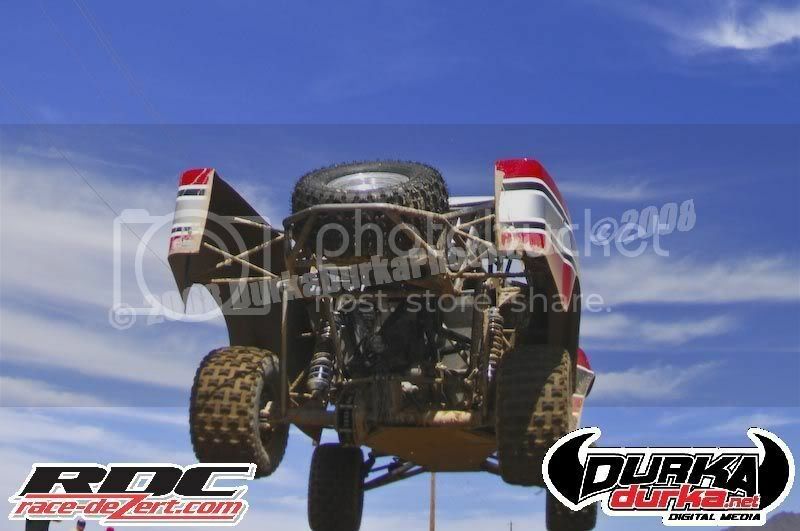 Robby has a great car. They are very fast in the rough and they turn really really well. I think if we don't have any problems we should do really well here. 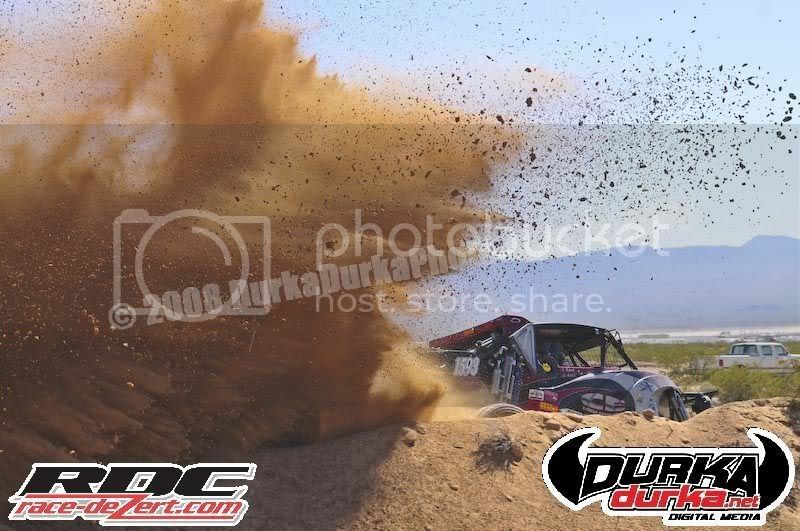 new finishing streak beginning with the ‘Terrible’s 250 at Primm’, this weekend. 7100 about 6:00 AM on Saturday morning. been a family effort since the beginning and as a team have won three class points championships. Dixon Bros. Racing Ford Ranger by tracking their progress on raceday at www.racetheworld.net. To learn more about Dixon Bros. Racing visit our website at www.dixonbrosracing.com. For more information about Ford vehicles, go to www.ford.com. times for both days of racing were combined to determine the winners in each class. problem which took the H2 out of competition on day one. 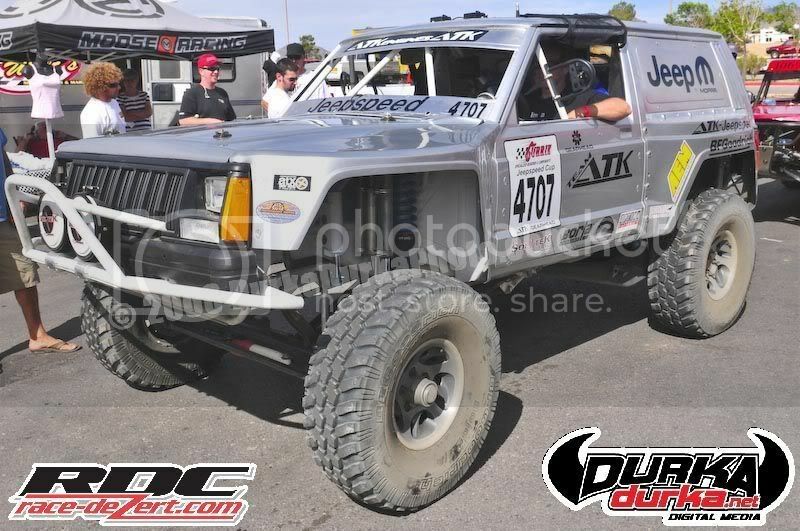 only 12 seconds behind the leader and the H3 seemed to be running well. question of survival than of strategy. 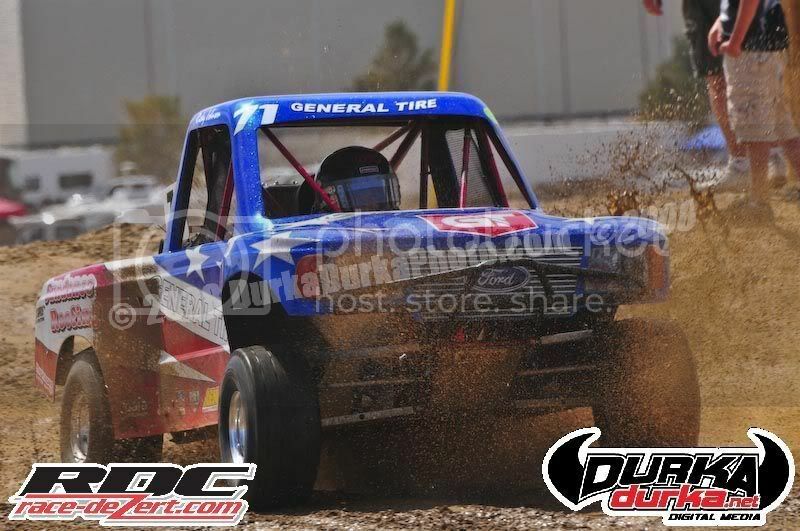 the #761 Ford Ranger, winning the his second consecutive ‘Laughlin Desert Challenge’’ and both heat races. 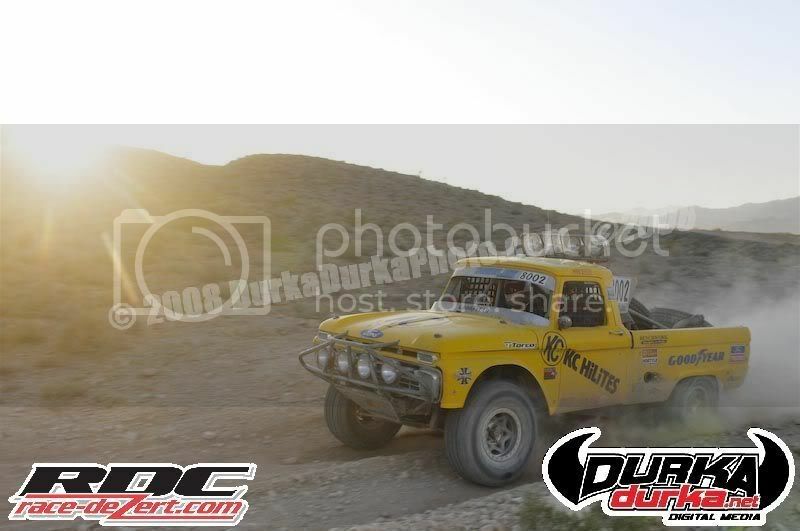 HUMMER H2 about 30 minutes off the pace but it was still early and the truck was running well, once again. 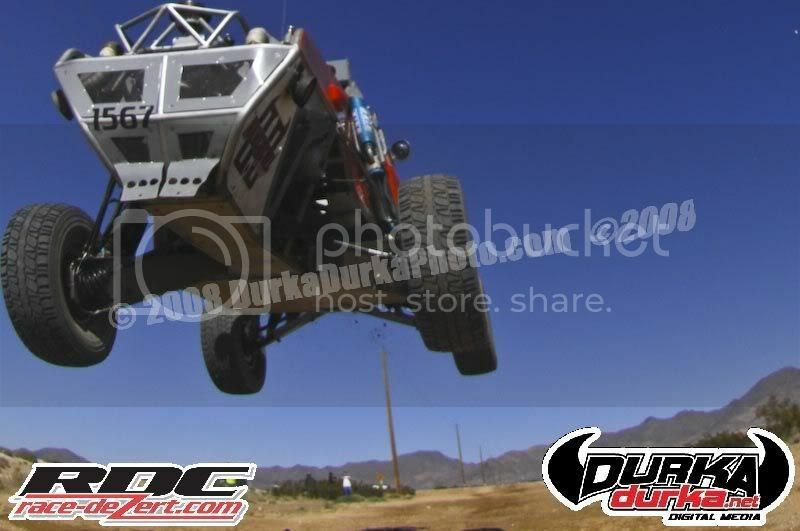 HUMMER H3 SUV in for a second place finish shortly before 8:00 PM. 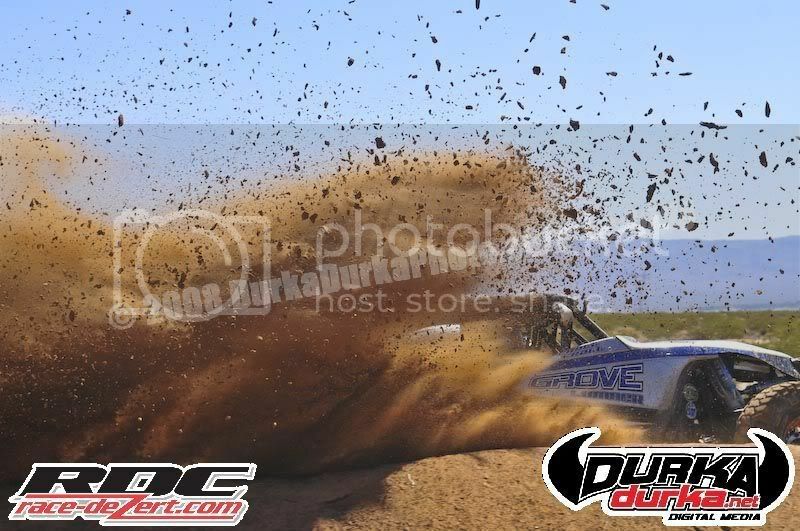 terrain, so Josh had to slow it down and settle for our third 2nd place finish on the day. 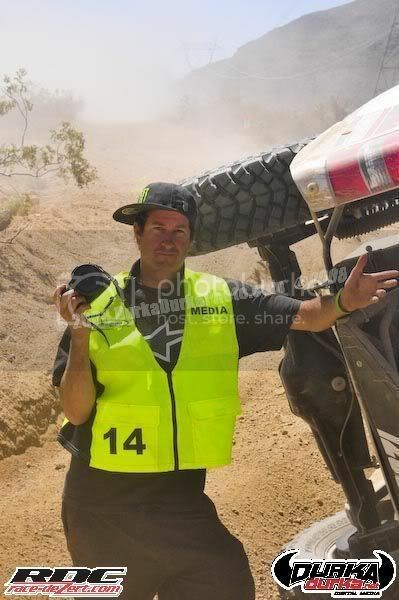 SCORE ‘San Felipe 250, March 14-15 in San Felipe, BC, Mexico. wake of the impact, before getting on with his race. 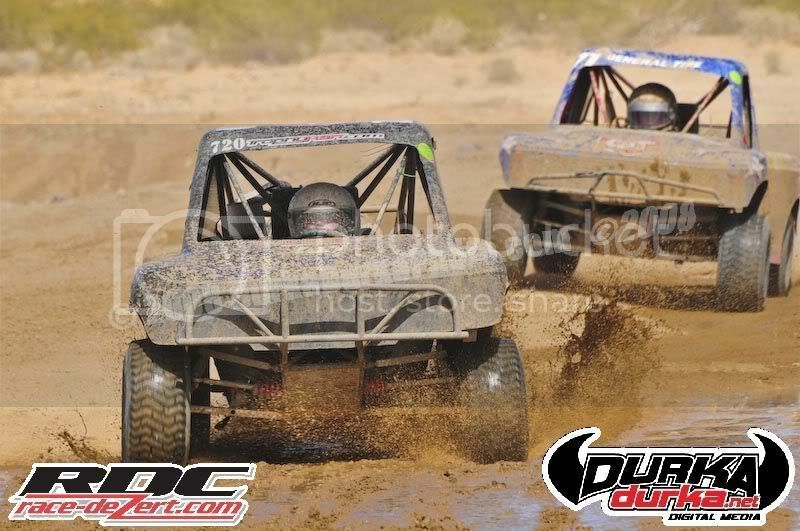 the pit allowed the Dodge and the H3 Alpha to get by him. all this was taking place. 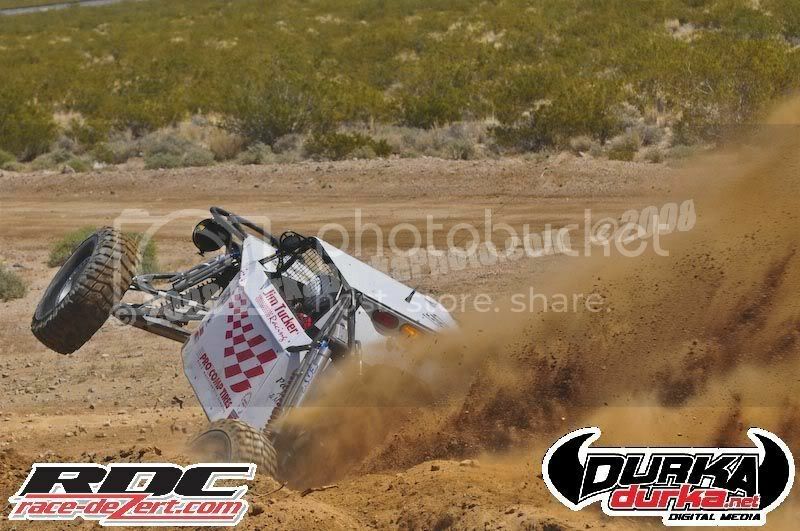 heading into Best in the Desert’s second race of the season, ‘Terrible’s 250 at Primm’, April 18-20. 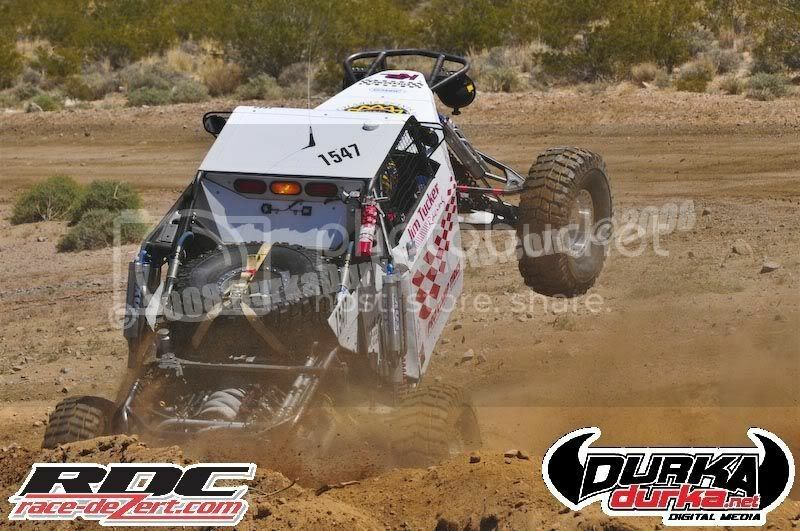 Desert ‘Terrible 250 at Primm’ and the SCORE ‘Baja 1000’, May 30 - June 1. 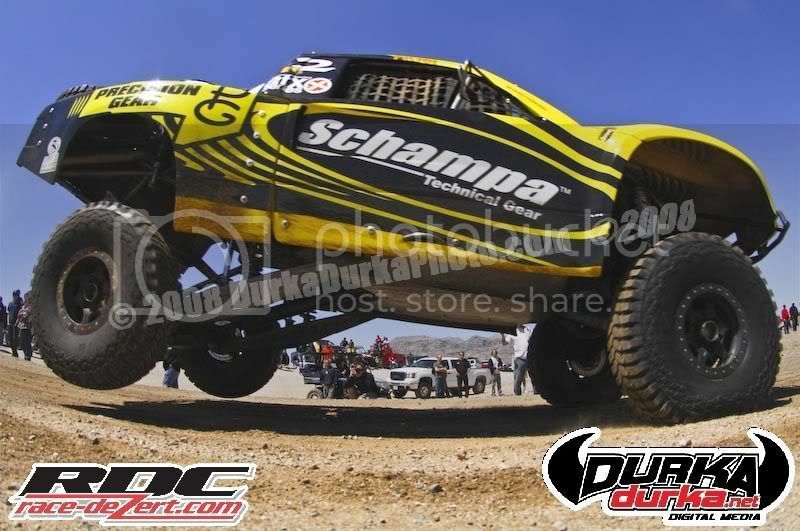 To learn more about Team HUMMER, visit us at www.rodhallracing.com. To learn more about HUMMER vehicles go to www.hummer.com. 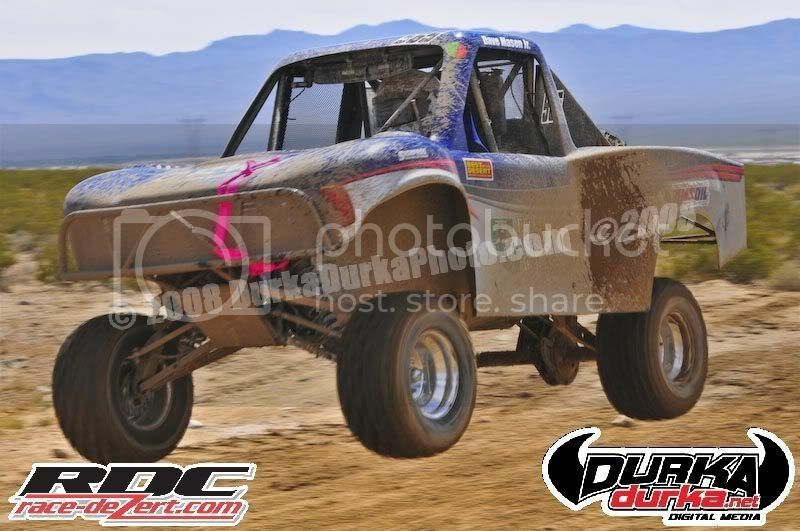 RENO, NV (April 15th, 2008) --Speed Technologies, one of the largest off road racing teams in the United States, is expanding its reach in the off road racing world. 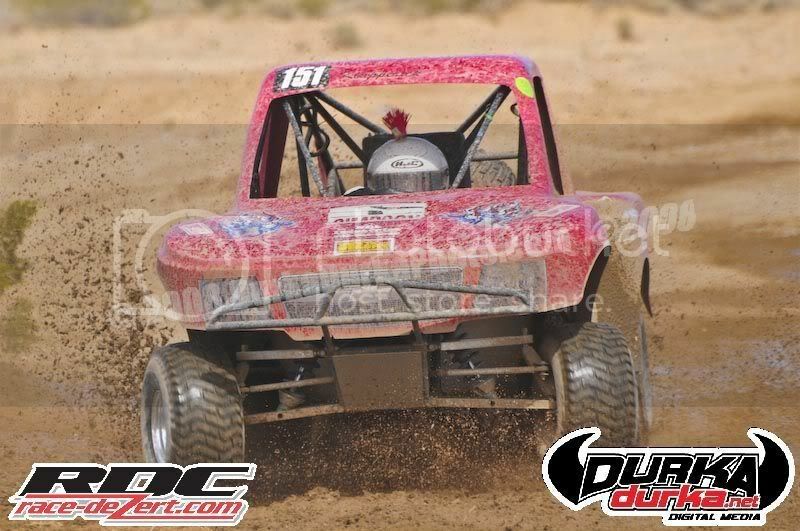 The popular team recently came to an agreement to title sponsor famed Baja racer and Speed Technologies HMS Avenger driver Chuck Dempsey and his Pro Lite Truck in the Championship off Road Racing (CORR) Series. Speed Technologies also will be joining up with Bully Dog and sponsoring Casey Currie, a seasoned CORR racer with three years experience behind the wheel. The duo will each be racing Nissan trucks and their first CORR race under the Speed Technologies banner will be April 26 and 27th at the Fairplex at Ponoma. 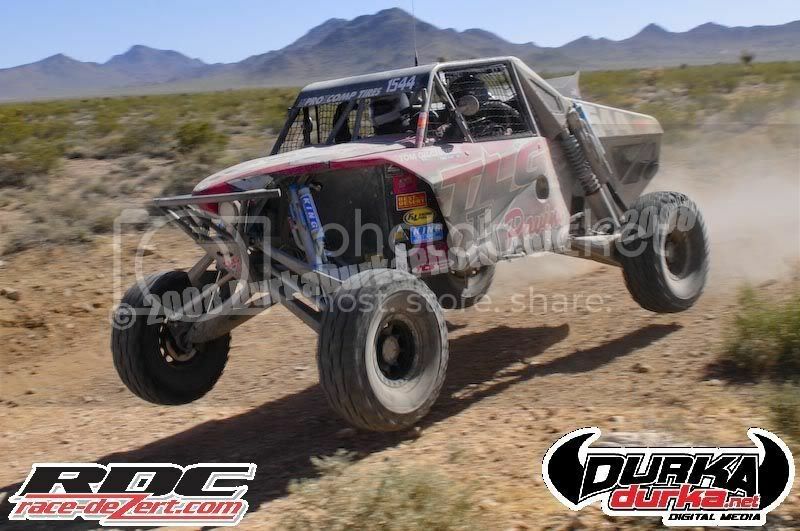 Speed Technologies currently races its Class 1 and Class 10 vehicles in the Best in the Desert race series and the SCORE Desert Racing Series. 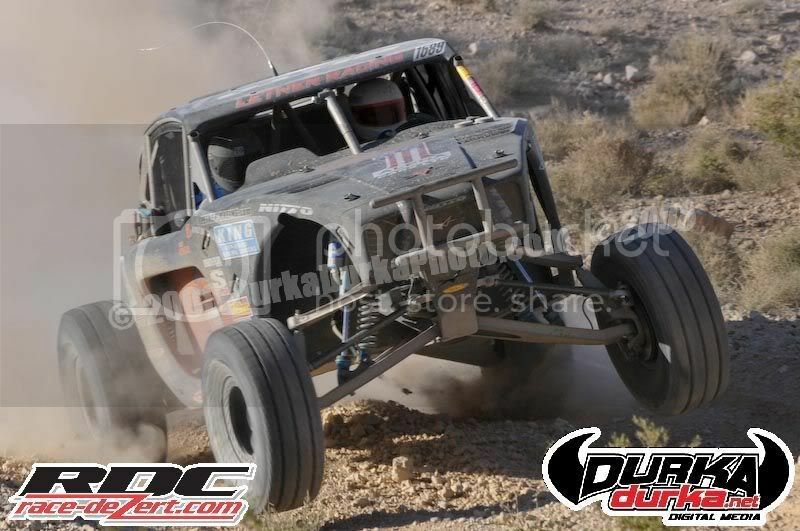 Chuck Dempsey and driver Mark Levrett are currently third overall for points in the SCORE Desert Racing Series. LOS ANGELES—Following the first two of five races in the 2008 SCORE Desert Series, 22 of SCORE’s toughest drivers are in the hunt to earn 2008 SCORE Toyota Milestone Awards. A pair of Nevada father and son teams lead the way as Las Vegas’ Bobby Baldwin and his son B.J. Baldwin race in separate Chevy Silverado trucks in the featured SCORE Trophy-Truck division while Reno’s Rod Hall drives a Hummer H3 in the Stock Mini class and his youngest son Chad drives a Hummer H3Alpha in Stock Full. 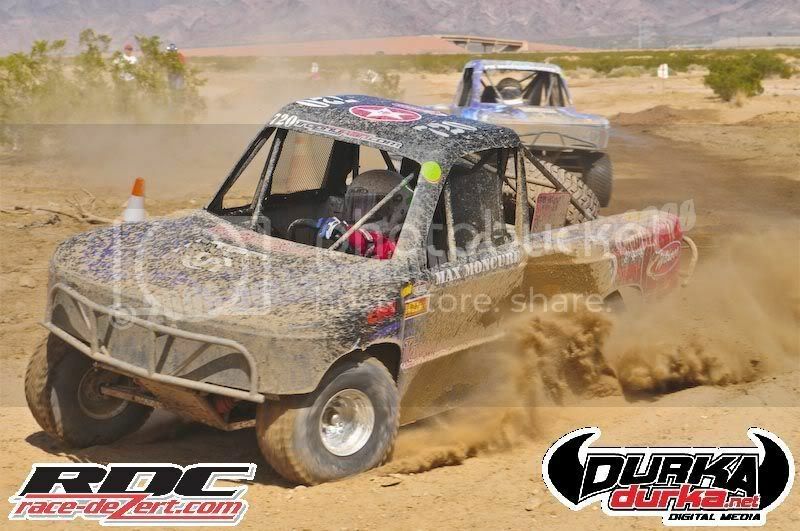 Giving Nevada six of the 22 racers in the hunt for 2008 Toyota Milestone Awards are Las Vegas teammates B.J. 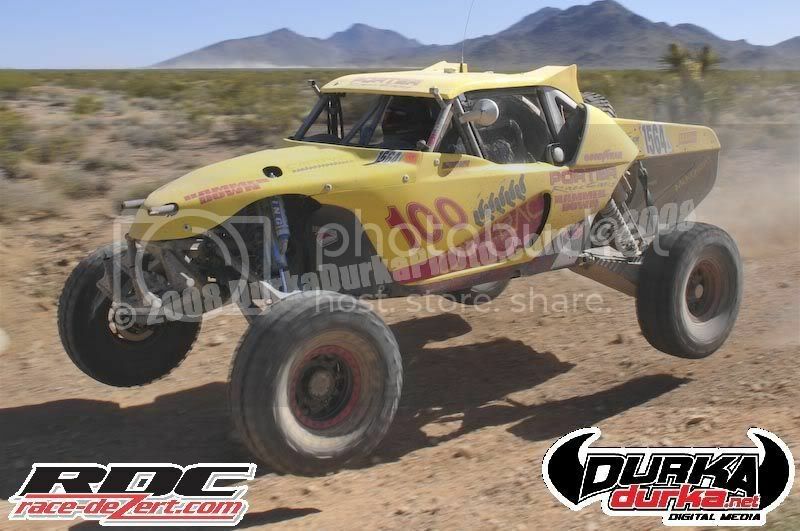 Richardson and Pat Dean who race in the unlimited Class 1 in near-identical Chevy-powered Bunderson open-wheel desert race cars. 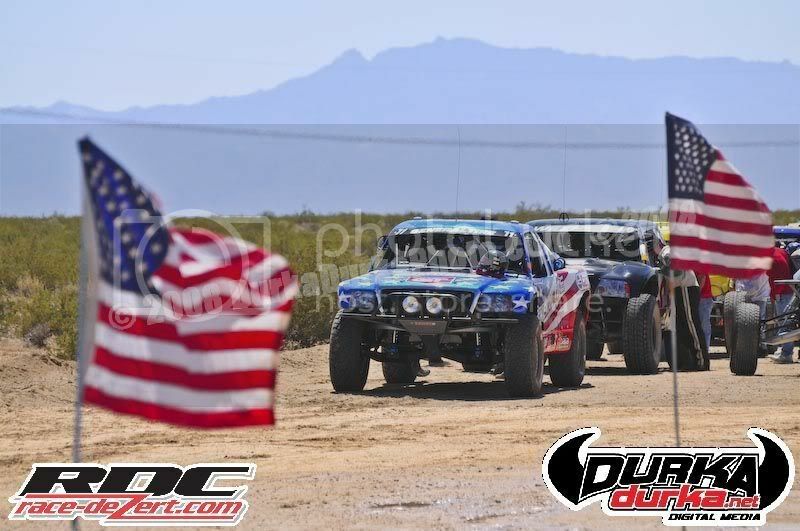 Round 3 of the 2008 SCORE Desert Series will be the 40th anniversary of the Tecate SCORE Baja 500, to be held May 29-June 1 in Ensenada, Mexico, on the western side of the Baja California peninsula along the Pacific Ocean 65 miles south of the U.S. Border at San Diego. With nearly 350 total entries expected to compete in 28 Pro and 6 Sportsman classes in the popular race, the computerized drawing for starting positions, by class, will be held this weekend at the headquarters of SCORE International in Los Angeles. Toyota is presenting these prestigious awards to the world’s toughest desert racers for the 23rd consecutive year. The Toyota Milestone awards will go to those drivers who finish every required mile of every race in the five-race 2008 SCORE Desert Series, the World’s Foremost Desert Racing Series. 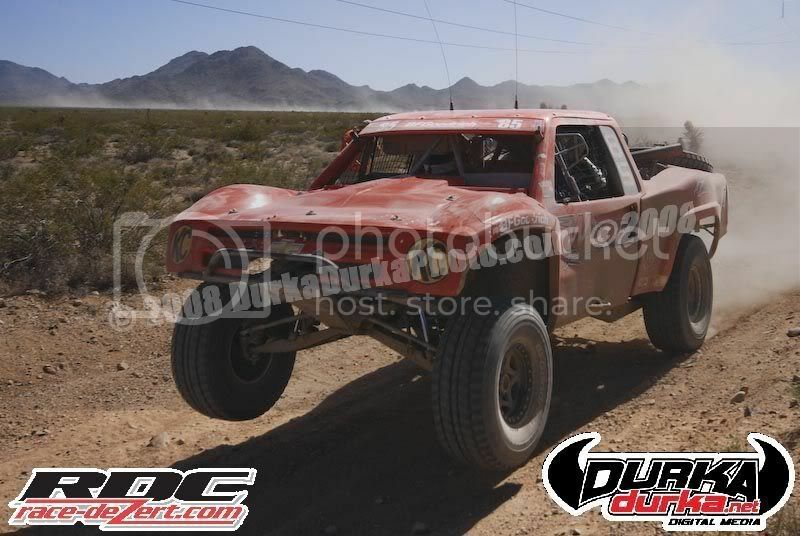 After the first two races of the 2008 SCORE Desert Series, the Class 1-2/1600 with six, SCORE Trophy-Truck with four and the unlimited Class 1 with three lead the way with eligible drivers for 2008 SCORE Toyota Milestone awards. Pre-race festivities at 40th Tecate SCORE Baja 500 will include the colorful SCORE Manufacturer’s Midway and tech inspection in downtown Ensenada from 10 a.m. until 6 p.m. on Friday (May 30). The race itself will start in the early morning hours of Saturday, May 31 and the course will close in the elapsed-time race during the early morning hours of Sunday, June 1. 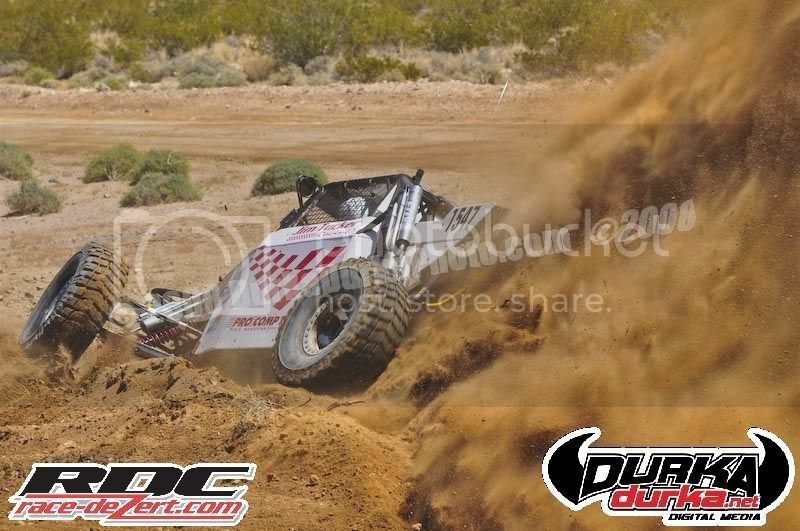 RENO, NV (April 14th, 2008)--Speed Technologies, one of the largest and foremost off-road race teams in the United States, plans to race two Class 1 cars and one Class 10 car in the upcoming Terrible’s “250” at Primm, NV on April 17-19. 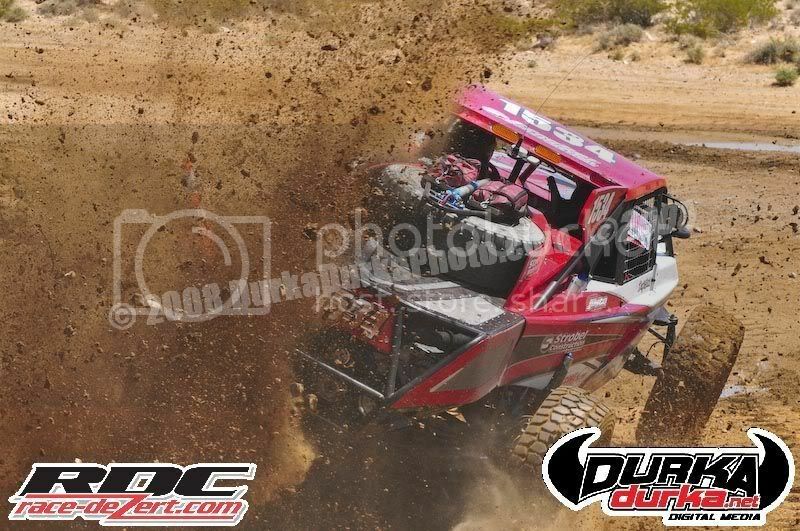 Dubbed the “Richest Off-Road Race in Nevada” for its $10,000 prize purse, the Terrible’s “250” at Primm will consist of three treacherous 84 mile loops that begin and end in the town of Primm. 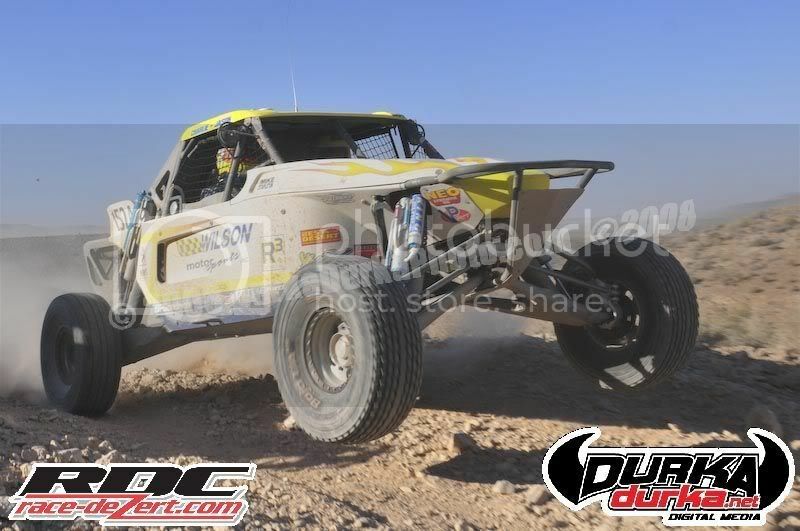 The HMS Avenger driving duties will be split by Mark Levrett and Chuck Dempsey – the team who took home 4th place in the Laughlin Desert Challenge earlier this year, they currently rank third overall in points in the world famous SCORE Desert Series. 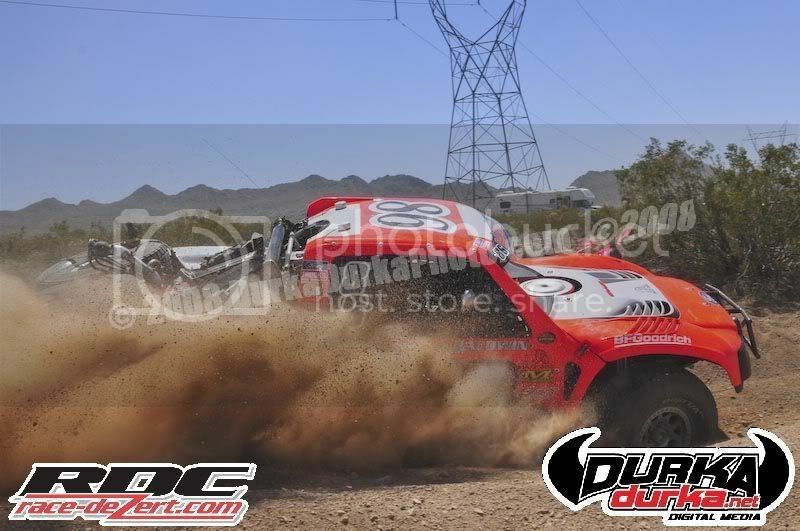 Levrett’s co-driver will be JJ Johnson of Reno and Dempsey’s co-driver will be Raymond Berre. “We’ve have really progressed over last year and we hope to continue to be one of the top teams throughout the season,” said driver Levrett. The HMS Class 1 will be driven by John Harrah and John Herder. Speed Technologies is excited to have John Herder, last years Terrible’s 250 overall winner, sharing driving duties with John Harrah behind the wheel of this race car. “Having someone with the experience and record of John Herder behind the wheel of the Dominator is paramount to the success of Speed Technologies,” said team owner and Dominator driver John Harrah. Established in 2006 Speed Technologies is owned by John Harrah and headquartered in Reno, NV at Rancharrah. 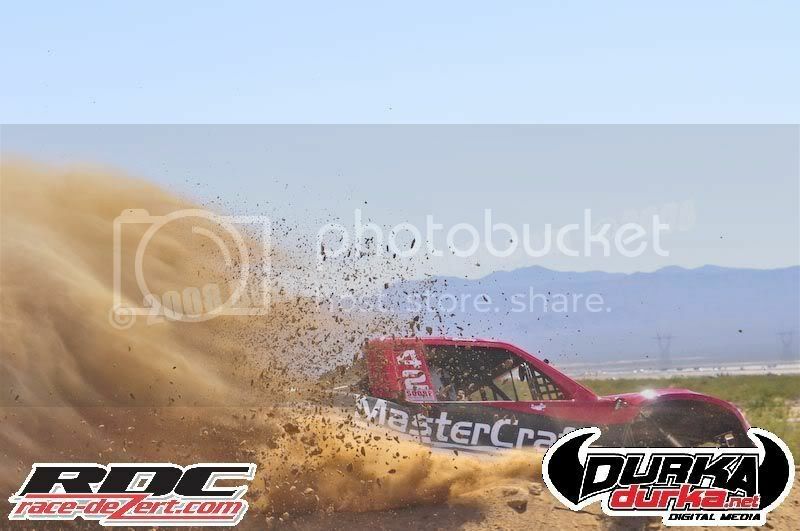 The team operates both an off-road racing team and motocross team. 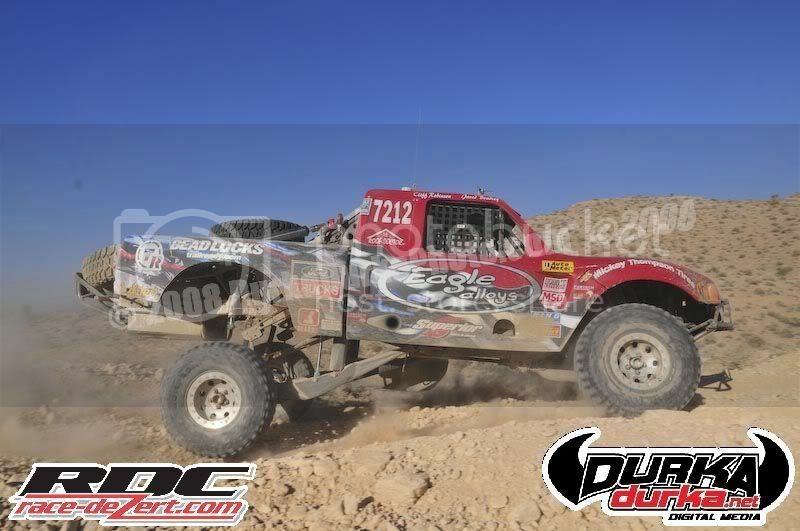 Competing in both the SCORE Desert Series and the Best in the Desert, Speed Technologies is a full-time operation supported by a full time staff as well as additional chase and safety crews. 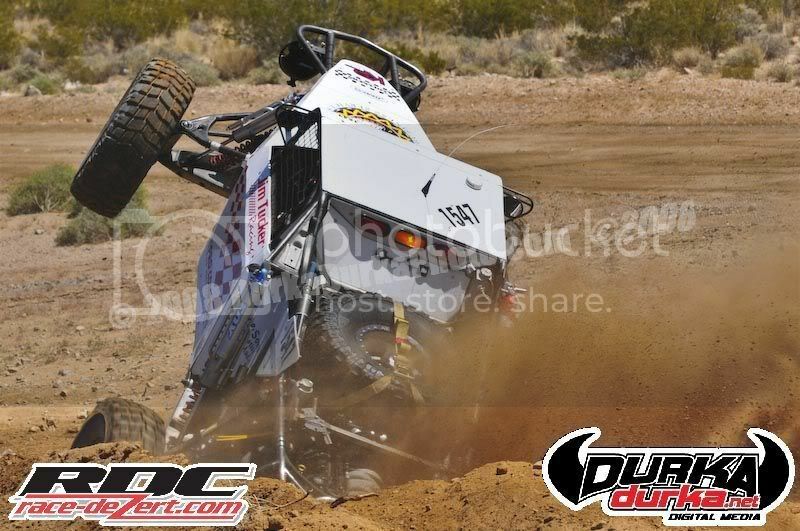 Speed Technologies is committed to safety both on and off the track. 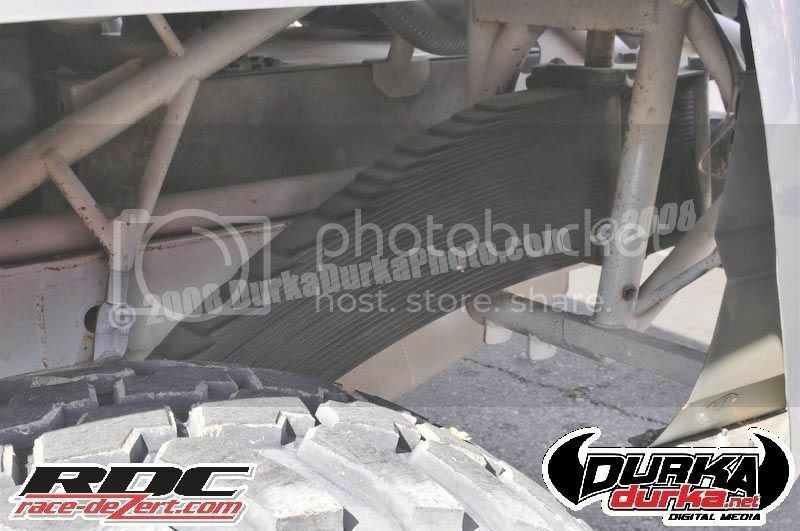 For more information on Speed Technologies please visit www.speed-technologies.com or call 775-851-7492. Michael Schumacher will work closely with Formula 1 tyre supplier Bridgestone when he tests for Ferrari in Barcelona on Wednesday. The retired seven time Formula One World Champion's status as an occasional test driver for the Italian team means that his programme at the Spanish venue will be focused almost entirely on the development of the new slick compounds that are likely to debut in formula one next year. Bridgestone, the sport's official tyre maker, has brought three new versions of the slicks to the Circuit de Catalunya, following teams' concerns that the earlier developments were extremely difficult to get heat into, resulting in huge and dangerous speed differentials between circulating cars. The massive lap time difference between Felipe Massa and the rest of the field as the test opened on Monday, however, was for a different reason. While the Brazilian tried the slicks late in the day, his F2008 was equipped with this year's aerodynamic configuration, resulting in a lap record that was nearly three seconds faster than the closest challenger. Other teams, like McLaren, were trying the slicks in conjunction with simulated 2009 levels of downforce, including a flat rear wing that significantly reduced cornering speeds. The first major test within the 2008 season, mandating a maximum of one car per team per day, wraps up on Thursday. Best in the Desert Terribles Update! And this race will be covered by a collective group of TV broadcasters. 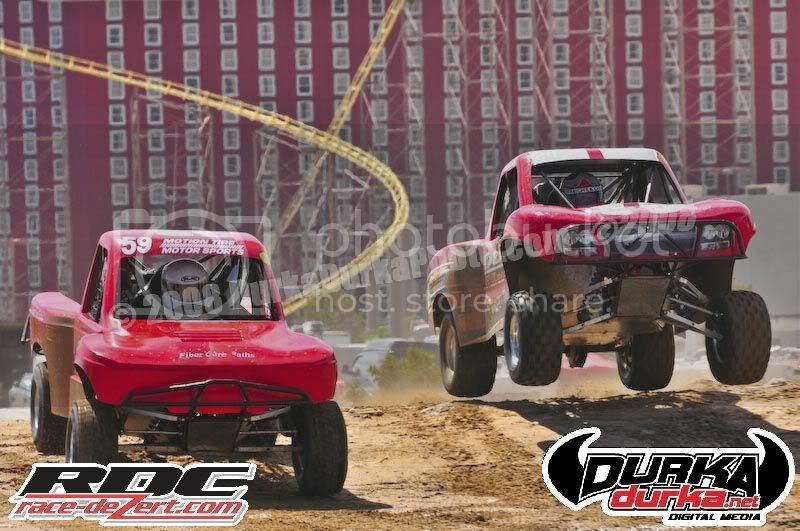 32 million homes will be able to see Best In The Desert racing this year on the America One Sports network and MavTV. 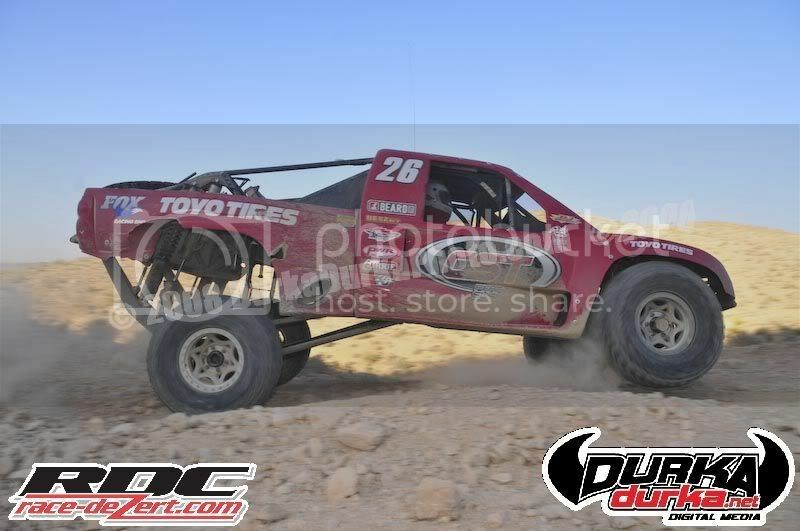 In addition, Extreme 4x4 on Spike TV, reaching more than 85 million homes in the USA and Canada will be also be covering the Terrible’s “250” at Primm. Air dates will be posted when final broadcast schedules are announced. New this year is a special TrophyKarts race, held Friday. These exciting new entries, which are a half-size race truck, run a small 265cc engine, 15 inches of front wheel travel; 18 inches of rear wheel travel and have a top speed over 50 MPH. They will run a one and a half mile course, starting at the casino. Already there are more than 30 Karts registered to run this qualifying event for the world championship. Registration, Technical Inspection and Contingency will be held Friday, April 18, 2008, from 9:30am to 6pm. 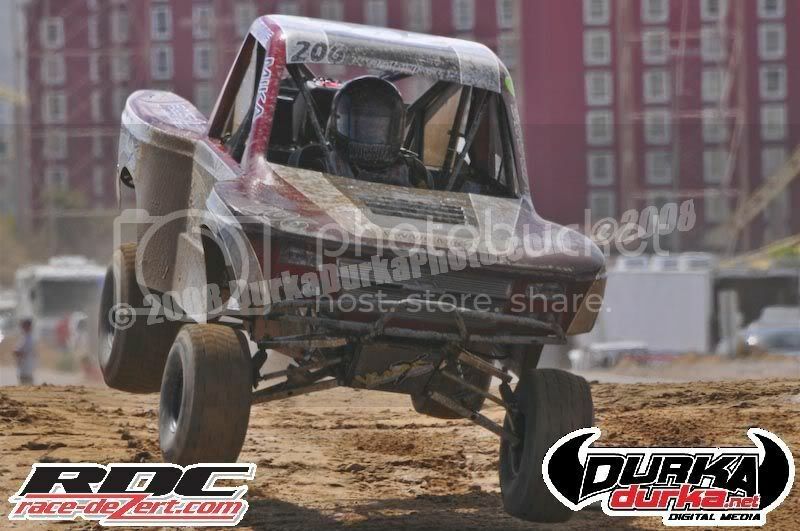 On Saturday, the 2008 Terrible’s “250” at Primm starts behind the Buffalo Bill’s Hotel Casino. At 5:30am Saturday morning, the race starts for Classes 1100, 2000, 8100, 7100, 4100, 3700, 7300, 3100, 5100, 3000, 1700, 1800 and 1900. These classes will race three or two times around the 84.2 mile course, depending on the class, except for Class 1900, which will run one lap. Classes 1400, 1500, 1200, 8000, 1000, 7200 and 5000 will start at approximately 1:00pm and will run 3 laps for 252.6 miles. s they sometimes say in racing, “if it weren’t for bad luck, we wouldn’t have any luck at all”. This was a particularly fitting statement for Randy Merritt and the Mongo Racing team at the season opening Parker “425” where they suffered an extremely rare DNF. 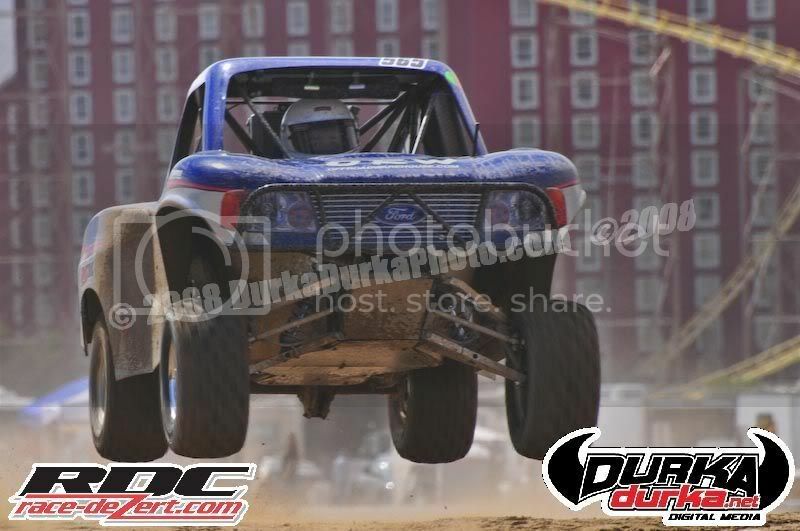 With the rest of the season lying ahead and the gremlins sorted out and behind them on the KC HiLiTES Ford F-150, Randy looks forward to getting back on track and giving the competition a real run for the money at the upcoming Terrible’s “250” at Primm, April 17th thru 20th. For the 2008 racing season, Randy Merritt and Mongo Racing welcomes back their loyal and faithful sponsors. A special thank you goes out to our sponsors, without the dedicated support from these fine companies, it just wouldn’t happen: KC HiLiTES, Ford Trucks, Goodyear Tires, F&M Baldenegro Farms, Sway-Away, Race Craft Seats, Raceline Wheels, Bodyline Autobody & Paint, Borla Exhaust, JD Squared, Autometer, Autofab and UMP. n the tightly knit American off-road racing world, there are only a select few who automatically come to mind when the topic of "Baja" arises. Within that handful is only one -- Ivan "Ironman" Stewart -- who has conquered the land all by himself, usually with Toyota power propelling him to victory. To commemorate his five Baja 500 wins and 83 other off-road event victories over the past three decades, Toyota will be offering a limited edition "Ironman" Tundra. The dudded-up version of Motor Trend's 2008 Truck of the Year will feature a number of modifications courtesy of Stewart's sponsors, including oversized General tires, Bilstein suspension, and a free-flowing Magnaflow exhaust. There was no word on the power modifications, if any, that will be included in the limited edition "Ironman" truck, but we wouldn't put it past Toyota Racing Development to include some of its power boosting parts in the truck's off-road arsenal. Speaking of adding to the aresnal, according to an insider at Tundrasolutions.com, TRD has plans to release its all-new Tundra supercharger kit around the same time into the U.S. market. The kit is said to help boost the 5.7 liter i-Force V-8 to upwards of 500 horsepower, which would put it into a league with departed supertrucks including Ford's F-150 Lightning and Dodge's SRT10 Ram. So far, there's been no official confirmation from Toyota about the supercharger kit or the Ironman edition model, but when they make the announcement, we'll be sure to let you know. Expect both to arrive by summer. 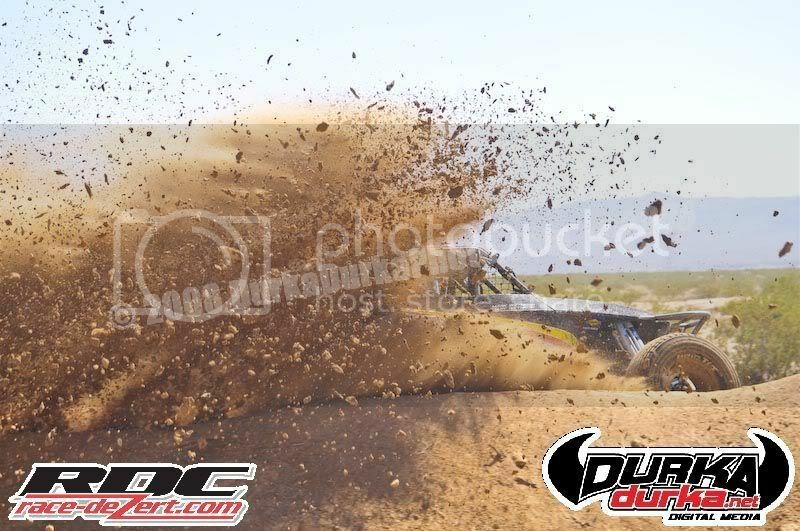 In the final day of the 2008 Shell V-Power Smokin' Wheels Racing Weekend held at the Jose and Herminia Calvo Memorial Off-Road park in Yigo, history was made as Alexander Smith captured the 3-hour off-road buggy endurance race championship. 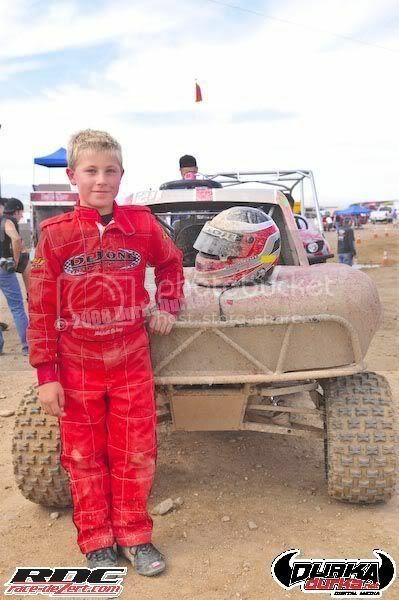 Smith did what his father, Malcolm Smith, a Baja racing legend and former Smokin' Wheels champion did two decades ago. That was win the coveted race and do it in stunning fashion. The heavy favorite to win the race was defending champion Ikuo Hanawa from Japan. Right from the start of the race, both Alexander Smith and Hanawa got off to a good start. However the Japanese racer jumped to a big lead with his more powerful Geolander race buggy. In the ninth lap, Hanawa showed why he was the defending champion as he flew by all the other racers with ease. Alexander Smith kept a sizable distance to maintain second place. Hanawa brought the crowd to their feet when he soared jumps at amazing speeds. Bad news struck the defending champion in the 32nd lap. Hanawa was passing the starting line when a loud boom was heard all over the park. 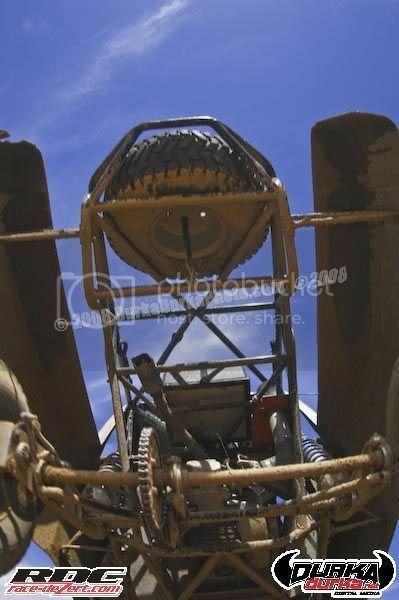 The front axle for Hanawa's prized buggy snapped and caused the Japanese racer to pull to the side. Alexander Smith saw an opening and took the laed as he flew by Hanawa which caused the crowd to cheer enthusiastically. Hanawa was then hauled off the track and never returned to defend his title. Alexander Smith now was the man to beat, and used precision steering and course-awareness to get ahead of the pack. 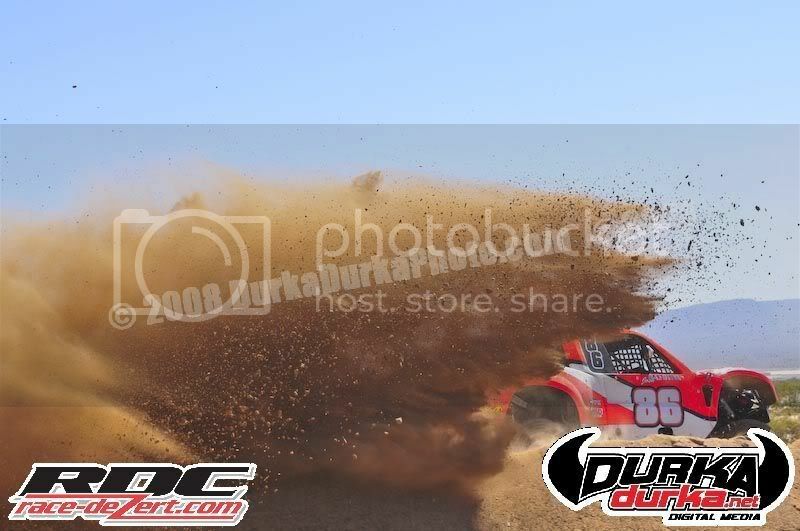 In 57th minute and in the 36th lap Alexander Smith was cruising through turns and jumps, then all of a sudden he had to pull into his pit area. Alexander Smith' power steering went out, however his pit crew patched everything up and the young racer was back in the race. Two hours into the race, Alexander Smith dodged Japan's Masazaku Amauchi and Guam's own Bill Windham. 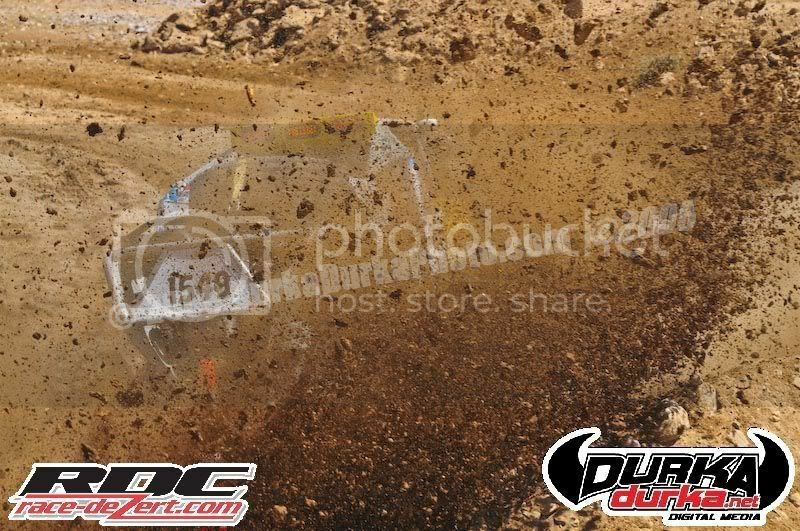 Amauchi and Windham had their own battle for second place as both racers were neck and neck at times. In the final minutes of the race, Alexander Smith broke away from Amauchi and Windham as he slammed the accelerator and cranked up the throttle to gain good distance from his opponents. Alexander Smith, seconds away from winning what his father won so many years ago, soared over the finish line with the crowd applauding his hard-earned victory. Smith then returned the favor and thanked the crowd as he dazzled them with 360 donut spins just several feet away from the finish line. Alexander Smith finished in first with a total of 99 laps completed. Coming in second was Amauchi with 96 laps and in third was Windham who completed 95 laps in a tremendous effort. "I feel good right now, it is a great feeling. When I first arrived on island, I was worried that I was not going to win and the trip would be for nothing. I have to thank Henry Simpson for all his help," Alexander Smith said. "Hanawa was really fast, but when I noticed that he was slowly starting to slow down, I told to myself that I had a chance. When his truck went down and I passed him, my state of mind mellowed out and I thought to myself that I can win this thing," Alexander Smith said. Alexander Smith went onto to say that he was happy that he got to experience what his father did before. "I always wanted to live up to his legacy and today I did just that. I want to thank Henry (Simpson) and his pit crew for all their help. 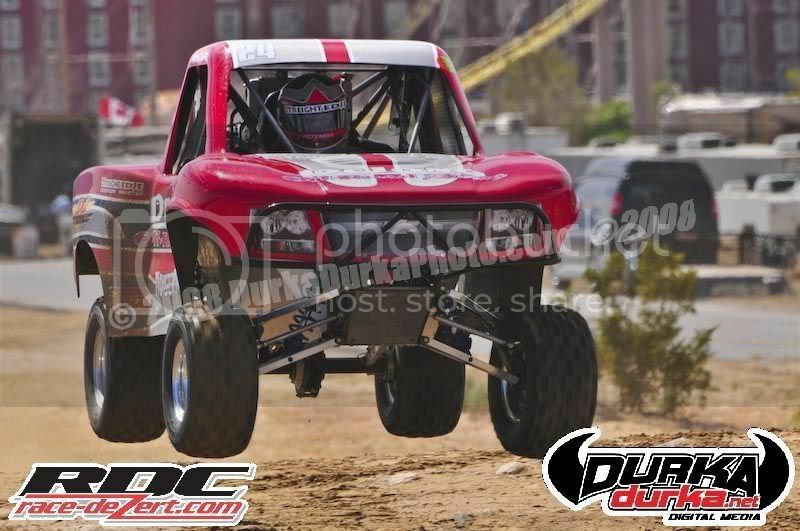 Thanks to all the fans that supported me and thanks to them for coming out and enjoying a great racing event". Alexander Smith said afterwards "I will be back next year to defend my title". # ATV Endurance race: The team of Seiya Sakuma and Hideki Kishi of Japan took first place with 72 laps and a time of 2:02:49. In second place was Hiromasa Kitada and Hiroshi Kobayashi with 70 laps and a time of 2:04:18. # ATV Endurance Mid-range race:Yoko Moriwaki and Sachi Tamura of Japan took first with 55 laps and 2:03:32. Coming in second was Japan's other duo of Masumi Toji and Kosuke Yamada with 55 laps and a time of 2:04:36. # Open A and B race: Atsuhiko Nakiri who went solo took first place with 63 laps and a time of 2:04:08. Placing second was Guam's own duo of Tony Costa and Donovan Pitter with 56 laps and a time of 2:03:47. Costa and Pitter had a faster time but because Nakiri completed more laps, the Japanese rider was awarded the first place standing. 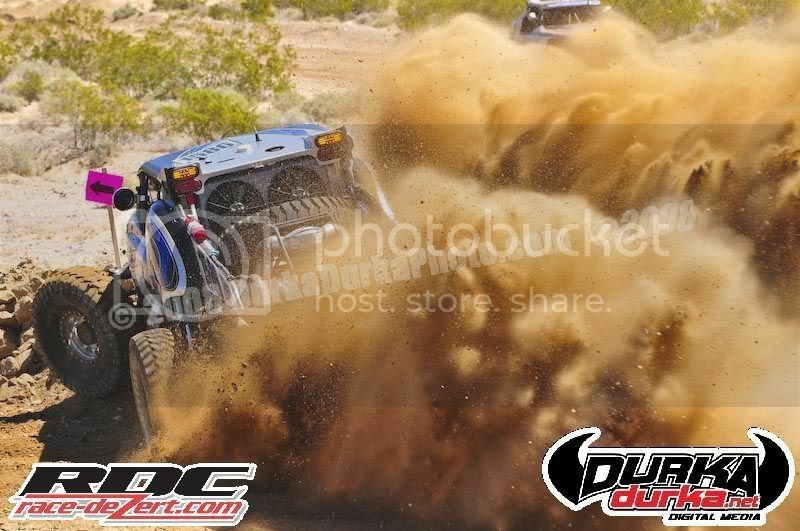 # Rock Crawling: In the 36 inch tire and below class, John Guerrero took first place and Chris Davis took second. 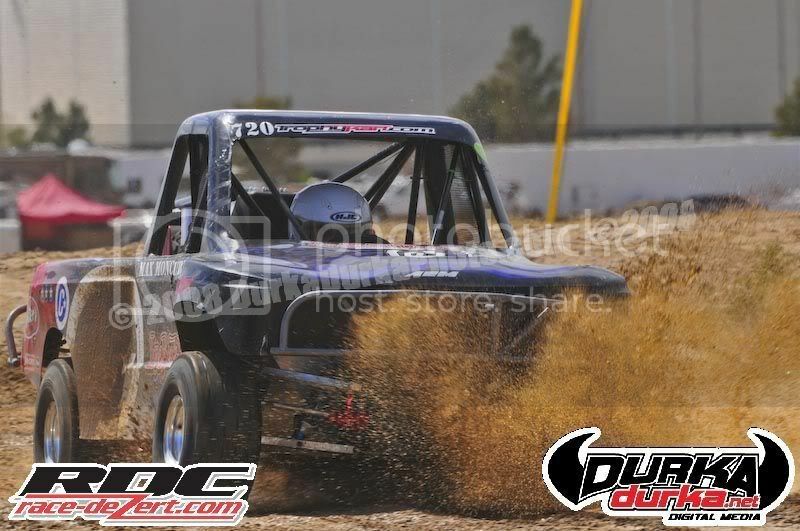 In the 42 inch tire and below class, Chris Salas took first place. 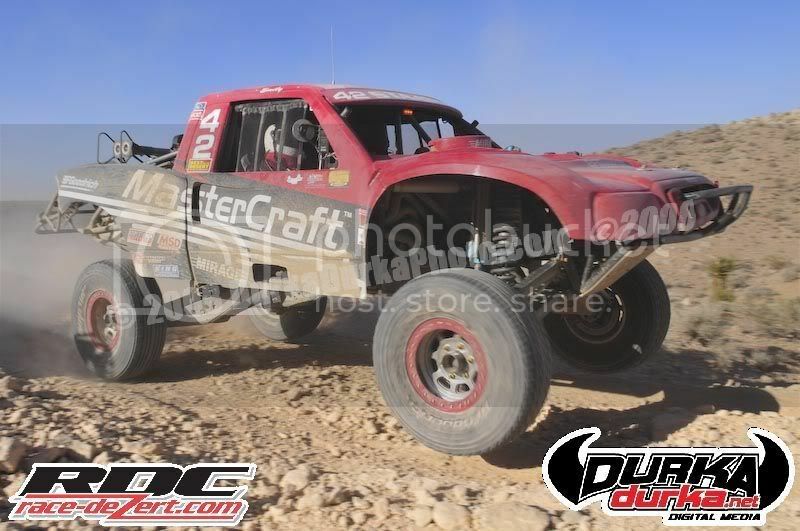 Finally in the Open class, Joey "JQ" Quichocho took first place, while Chris Brub took second. Rounding out the top three was John Walker.